2017 Convention Season is well under way! Our company has been doing trade shows for over 15 years and will attended 15 states conventions by the end of February. As an exhibitor, we’re happy to help support state associations as well as participate in their events during each convention. 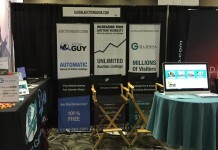 It’s a great way for us to not only tell auctioneers about what each company exhibiting can offer them, but to reconnect with current clients and meet some potential new ones. 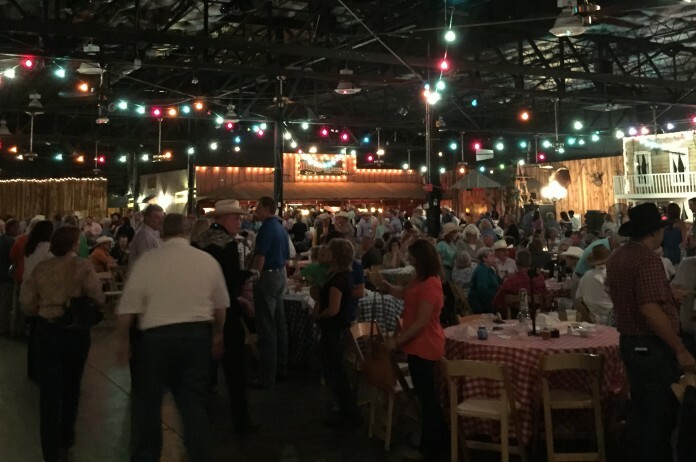 This partnership between auctioneers and exhibitors can only get stronger through ways state associations can welcome and help connect exhibitors with auctioneers. Here’s some helpful tips we’ve learned from attending some great state conventions. Pre Show: Where possible, try and provide detailed information of future conventions to exhibitors so they’re able to make concise choices on how to make the most of each convention. Attendee lists, schedule of events, exhibitor lists, etc. a short email with this information from a director is appreciated along with costs, registrations forms and hotel information. This information makes it easier for us to pre-plan schedules, flights, and other travel plans. Information Package: Many associations provide their attendees with an information package to help them stay organized throughout the convention. Many state associations also give the package to exhibitors. This keeps exhibitors informed when attendees will be in class, when breaks sessions are and in general overall flow of the convention. Meals and other events: Vendors do not expect anything for free, but we like to know what is expected of us and what is provided. Having luncheon / breakfast tickets included as part of the trade show fee can be an option available in advance or at the time. At times the trade show area is setup in the dining room and it can be awkward sitting there while everyone else is eating. This comes back to having an information package that lets exhibitors know what is expected of them. Games: Many associations have a Bingo card or Dance card that all attendees are given where they must solicit certain people to initial their cards to be entered for a drawing. The most successful ones I have seen include not just the vendors, but speakers, HOF members, NAA representatives etc. This gets attendees to mingle more with everyone, not just the vendors. Some vendors are not 100% on board with this as they may be speaking with one client and then be interrupted by someone wanting their initials, but overall anything that brings people to the trade show area is a good thing. Fun Auction Donations: Vendors are happy to make fun auction donations to get exposure of their name and company during the auction. From experience I will try to get a good client to sell my particular donation, so at least the name gets pronounced correctly and they know what we do. I have seen many items go for far less than their potential because the young rookie selling the items was just handed something to sell and did not know the product or the company donating it. It is highly recommended that outside donations and vendor donations are described to the crowd by the fun auction chairman or the emcee before letting the auctioneer sell the item. This is especially evident with newspaper advertising certificates or similar items. It can speed things up as well. Vendor Spotlights: Most associations give their vendors a minute with the microphone to introduce themselves to the attendees. The timing of this is extremely important to the vendors. The preferred timing is during the opening day at a time where everybody is in attendance. This gives attendees time to stop by the booth or ask others about particular vendors. Having it the last day when some vendors have already left doesn’t help anyone, or having it at the beginning of a session when half the attendees are in a different session doesn’t make a good experience. I have seen it during a coffee break when everyone has left the room to find coffee, I have seen it at breakfast when there is only 2 auctioneers that have made it down. One minute is more than enough for an introduction and an elevator pitch, and will make for very satisfied and returning vendors. Trade Show Location: This has to be the most contentious issue at times. Every hotel is different and everyone has different ideas. The bottom line is vendors want traffic between sessions. If people walk by us continually for 3 days and don’t stop, it is not the associations fault as you have done all you could. The preferred location is simply in the hallway in the traffic areas between where auctioneers enter / exit the sessions and where they have to go for their coffee. Having a separate room means no one ever goes into the room. Having the vendors in the main speaking room or dining room may appear to be a good thing but it is even worse. The worst convention I have seen was where the vendors were in the main room where all activities took place. Sounds good right? The coffee was in the hallway. When the session finishes everybody immediately exits the room at the front away from vendors. As soon as the session restarted all the vendors where expected to be quiet as we would look very rude to continue talking with a potential client. Followup: Associations vary in their after show followup. This is a good time for vendors to be upsold on other products that the association has such as newsletter advertising and post show mail/email list availability. Even asking for comments and feedback makes the vendor feel appreciated. When a vendor is doing their post convention analysis about whether it was worth it, sometimes these little things may convince a company to attend next year even if the show wasn’t the most profitable for them. Vendor committee members: Every board changes completely every few years, and new members bring a new skill set with them. Most people added to the vendor committee do not have any experience with a trade show. It is one suggestion that you have one local vendor on your committee to provide some insight and feedback on what they can and should do, and give long term continuity to your program. We have sent this to generate discussion on how vendors can help associations, and associations can help vendors. What can you add to this from your experiences? We look forward to seeing everyone in the upcoming weeks and have high hopes for a successful conventions season.